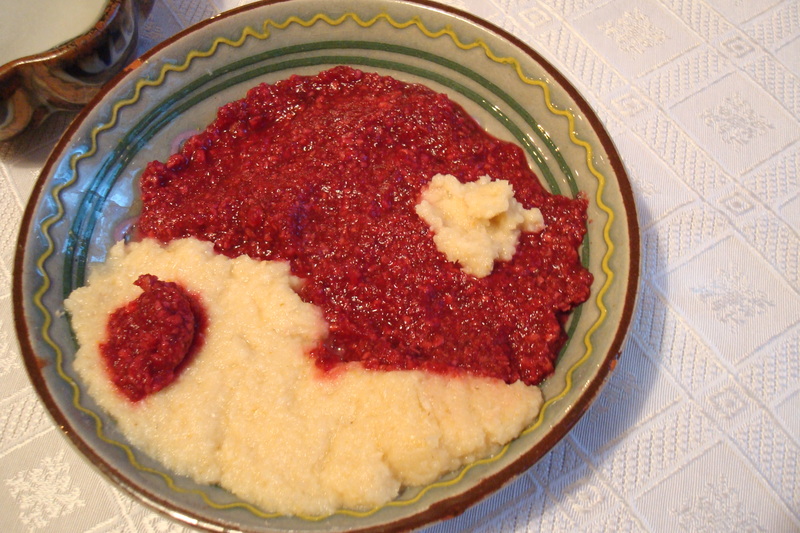 Yin-Yang Horseradish: My blended beet version with the plain prepared one from the store. 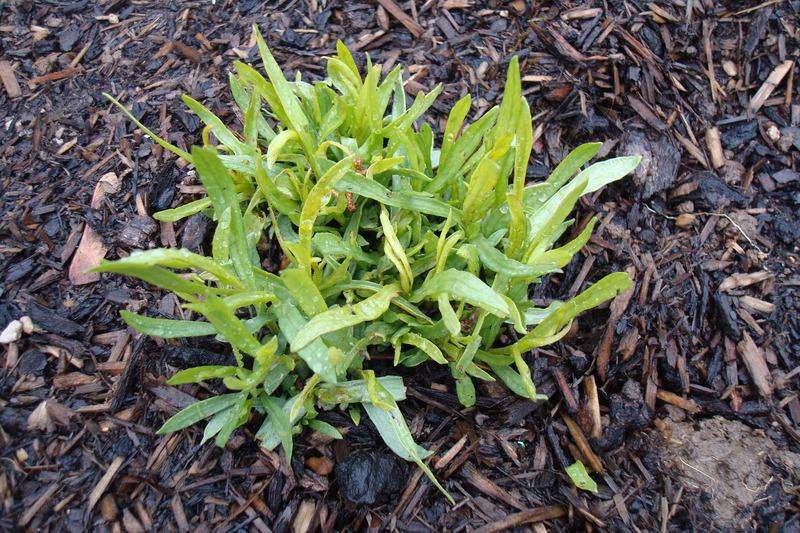 Overwintered tarragon coming up in the herb garden. I’m so grateful for the burst of feathery, licoricey, green tarragon that’s sprung up in the garden. But at the same time I regret pulling up the horseradish root I planted. I feared the thriving thing would take over the garden. But had I let it overwinter, I would have had fresh horseradish this week. It was in short supply at the farmer’s market and food co-op. Luckily, I obtained enough to blend up some with cooked beets, vinegar, salt and sugar to make some festive horseradish to go with my salmon gefilte fish. It was especially a hit at the eclectic seder Slow Food Corvallis leader Ann Shriver and ag economist Larry Lev hosted Friday night. Now I have to see about digging up some horseradish from someone. I think the solution is to grow it in a barrel container, as I plan to do with potatoes, so the invasive root doesn’t overtake your bed. Here’s a helpful article on growing and cooking with horseradish, by garden writer Anne Raver, who I believe is based in Maryland’s Carroll County, where I worked for The Sun. She recommends grinding the root outside to cut down on its pungent mustard oil fumes. It made Dan and I choke and tear up when I went at ours indoors. But back to the tarragon. 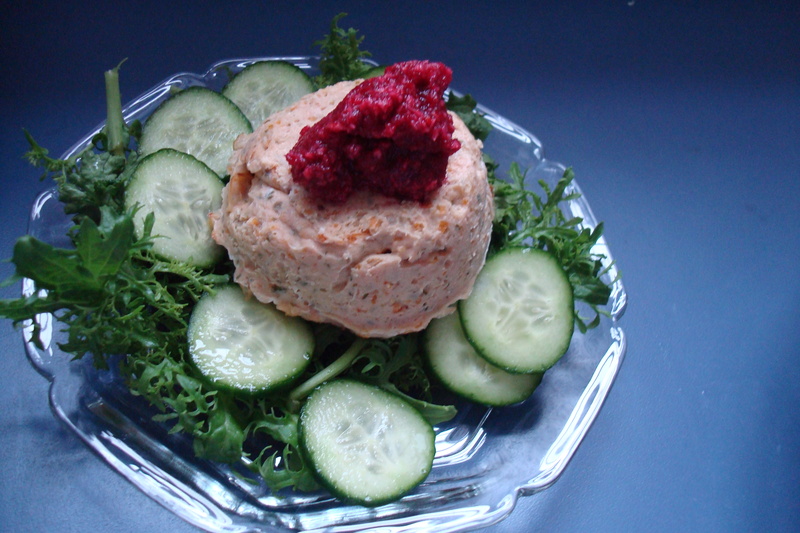 It reminded me of to make my mom’s recipe for tarragon chicken salad, which I brought to an Easter potluck we were invited to today. The recipe couldn’t be simpler: poach chicken breasts, chop up and combine with chopped tarragon, rehydrated golden raisins, sliced toasted almonds and moisten with mayonnaise. Season to taste. To lighten it up, I used Greek yogurt instead of all mayonnaise and added some of my home-infused tarragon vinegar for a kick. 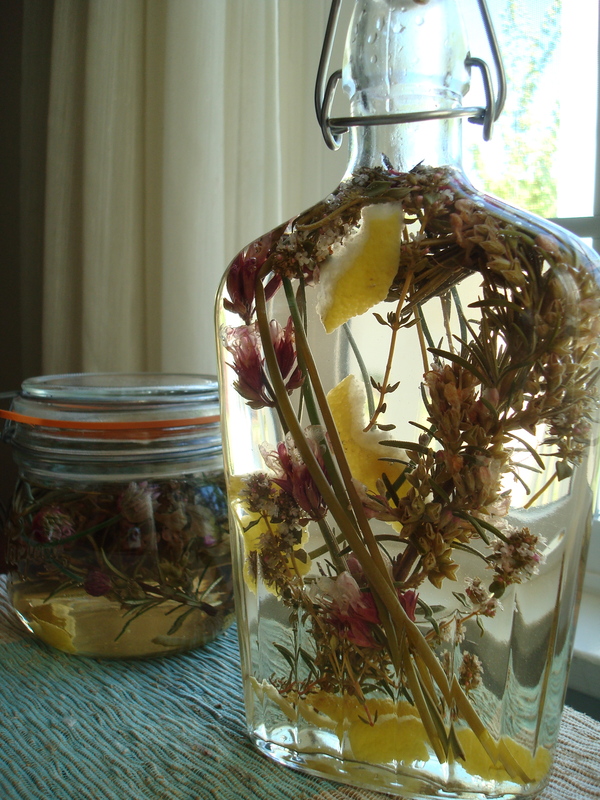 I’ve still got a lot of leftover infused herbal vinegar I made last spring. Perfect for salad season!